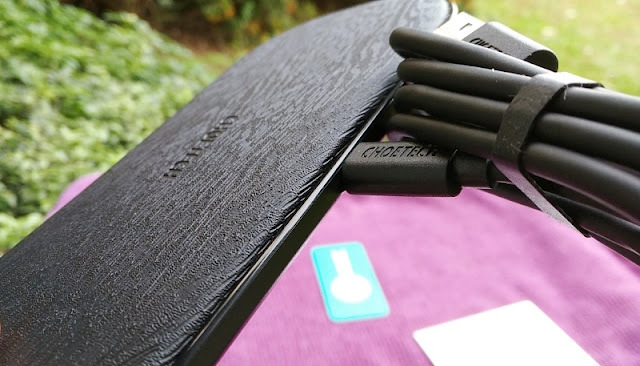 While wireless chargers don't charge as quick as Lightning or USB-C charging, being able to charge your phone without plugging in a cable is very convenient! 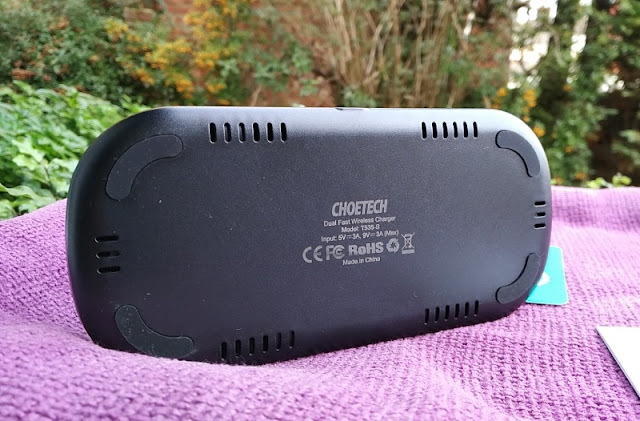 A wireless charger is definitely more advantageous than wired charging and with a multi coil wireless charger like the CHOETECH T535-S phone placement is much more forgiving as the phone doesn't have to be placed a specific way for charge to start. If you've never used a wireless charger pad before, you should know that all wireless charger pads emit a subtle high pitch sound that is noticeable depending on whether you are a heavy or light sleeper, and whether the wireless charger is sitting really close to your bed on a nightstand table. 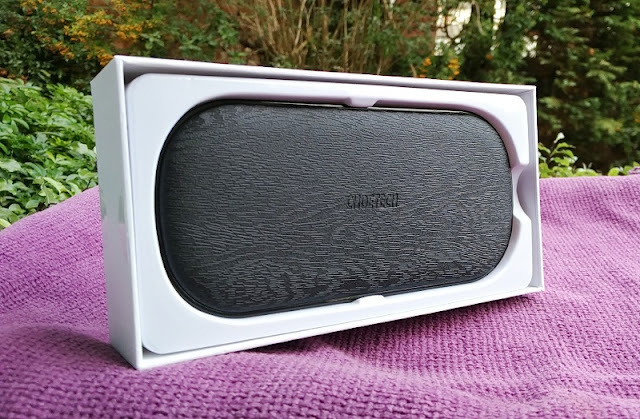 The main reason for the quiet high pitch squeal emanating from wireless charger pads is due to the inductive power transfer noise generated when the wireless charging coils from both the wireless charger and smartphone come close together. 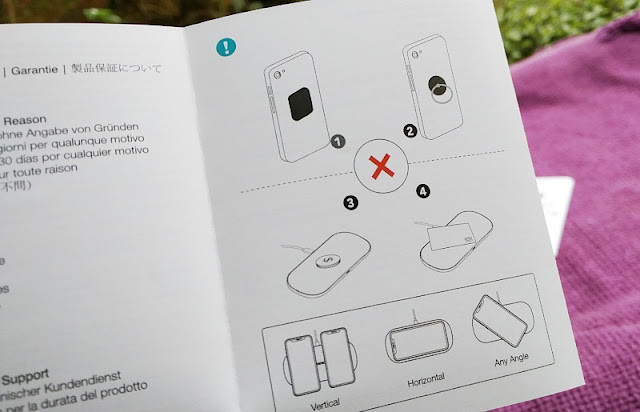 Some wireless charger pads even have a fan built-in to them to cool the wireless charging process and prevent overheating which is a neat add-on feature but obviously adds extra noise. 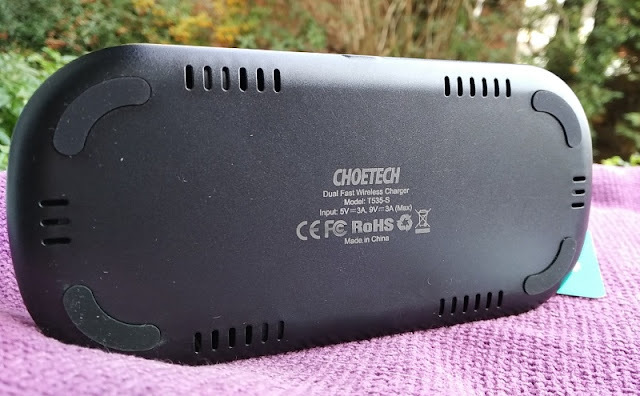 Saying this, the CHOETECH T535-S wireless charger pad is still super convenient for overnight charging and for times when you are not in a hurry or when the charging port on the phone is broken. 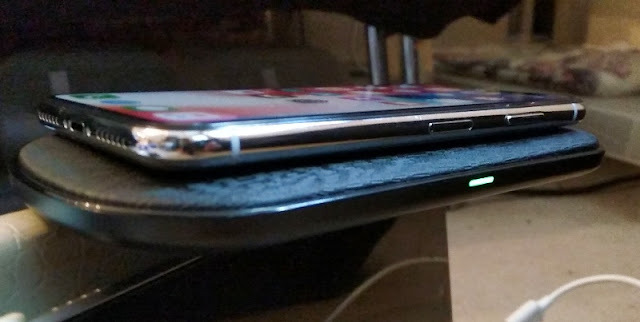 Other than subtle noises, wireless charger pads can sometimes use a very bright led status indicator but in the case of the CHOETECH T535-S the green led light is fairly dim and solid so there is no flashing. While the led does stay on, there is a purpose for that and that is to let you know that the phone is charging correctly. If the phone is placed on the pad incorrectly, the led flashes and charging doesn't start so it's good having a visual indicator. Wireless charger pads have come a long way and the main improvement is the number of charging coils a wireless charger pad can have. 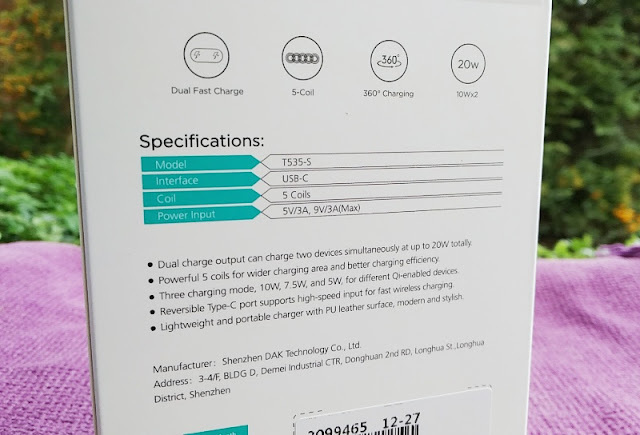 The number of charging coils ranges from a single coil (mostly found on car mount wireless chargers), two coils, three coils and five coils found in the CHOETECH T535-S five coil wireless charger. 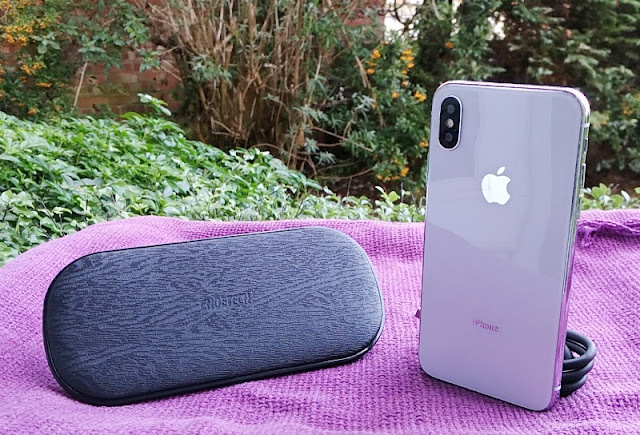 While having more coils doesn't necessarily speed up the wireless charging process, there is an obvious benefit of having a multi coil wireless charger and that is an increased area for charging. You don't have to perfectly mount the phone on a 5-coil wireless charger like you do on a 2-coil or 3-coil wireless charger pad and that is really a plus specially if you're charging a sizable phone like the Nexus 6. 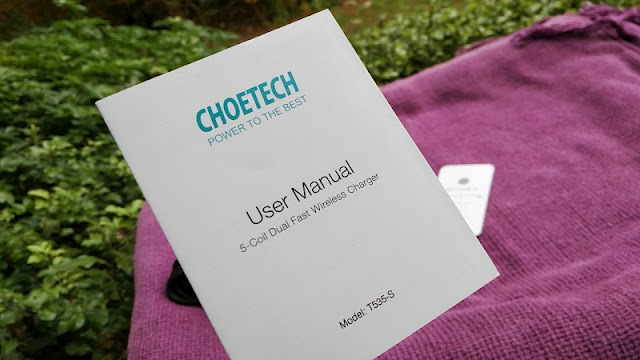 The CHOETECH T535-S wireless charger has three power charging modes from 5 watts, 7.5 watts and 10 watts so you can fast charge smartphones such as the the 2018 iPhones (i.e. iPhone XS, XR, XS Max) and the latest Galaxy Note series and S series phones from Samsung (i.e. Galaxy Note 8, Note 9, Galaxy S9 and Galaxy S8). 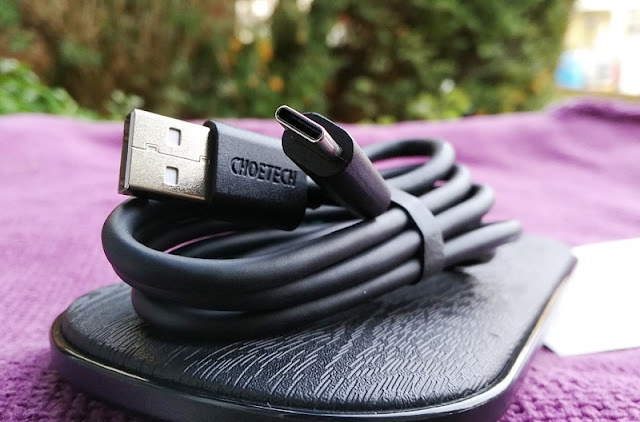 As far as input charge, the CHOETECH T535-S inputs variable voltage and amperage (5V/3A and 9V/3A) via USB-C connection so the wireless charger can draw between 15W and 27W which is nice but you need to use a Quick Charge 3.0 wall charger which is not included. Like all wireless chargers, about 35% of that power is lost in the inductive transfer between the coils and the protective case of the phone; hence why wireless chargers take longer to charger than charging the phone directly via a wire. The built-in safety features are a plus for peace of mind so you don't have to worry about over-charging/heating up the phone. 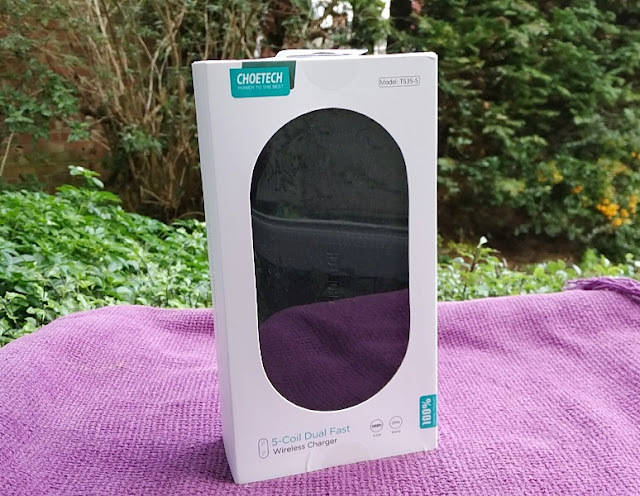 Build quality is solid with a good weight to it so the CHOETECH T535-S wireless charger doesn't feel cheaply made. 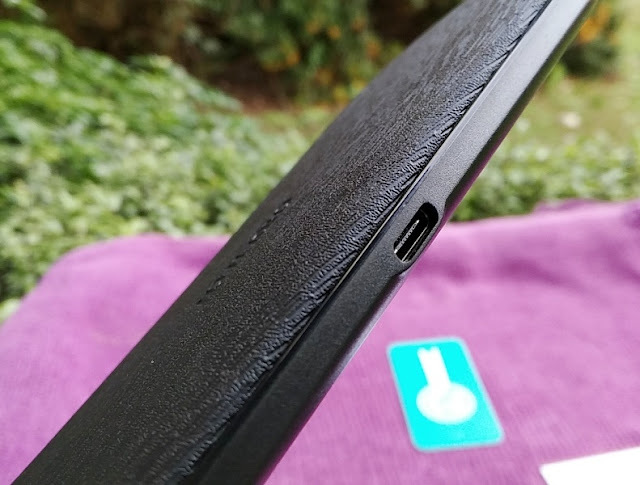 The choice of PU leather on top prevents the phone from sliding around, while the matt black thermoplastic and rounded edges give the wireless charger pad a slick, tidy finish.